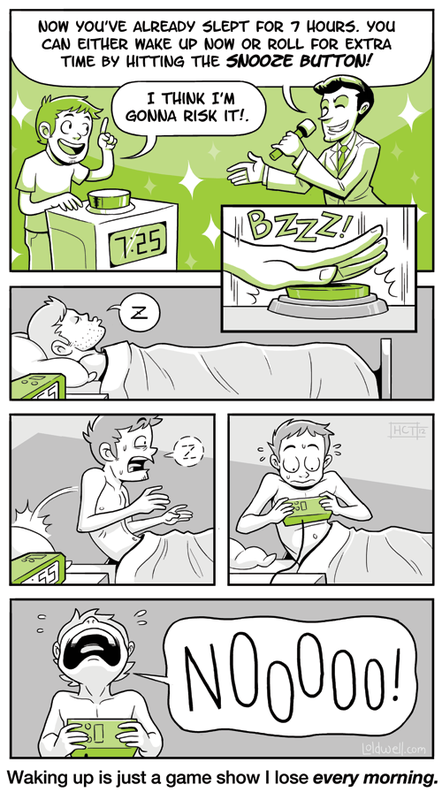 The funniest thing about this comic is that I could never wake up at 7:25. Seriously, who DOES THAT?? Anyway, in case you missed it. 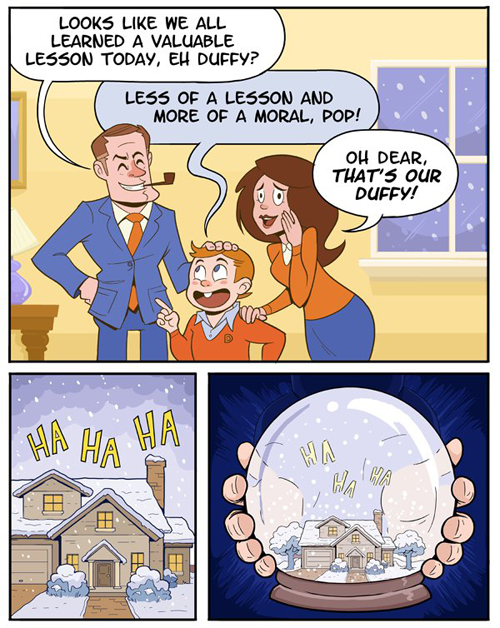 Here’s last week’s MONDO-SIZED Collegehumor comic. It’s all about the best way to end a tv show. I think you’ll find the ending rather…surprising. Read the rest of “The Best Way to End a TV Show,” over on CollegeHumor. Can you add a Google + share button. I love reading your stuff it’s just hilarious. Thanks and keep up the great work! The sleeping guy, did his stubble disappear after waking up? I’ll try to get one in soon, thanks for reading! Well I have to wake up at 7.00 but I do it only 5 mins later.